It is common for businesses to maintain a permanent record for each of their employees, even if they subsequently leave the company. The human resources department must be able to justify which types of data it needs to keep in these records. This prevents details that could compromise worker’s privacy from being kept on file unless they are operationally necessary. 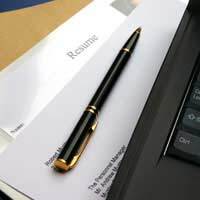 Businesses may decide that it is necessary to keep application forms and CVs from applicants who have subsequently been hired. This may protect the company from being sued for unfair dismissal if it later emerges that an applicant was dishonest when they applied for their job, for example by claiming to have qualifications which they did not possess. This can be very sensitive information, and it highlights why any retained application documents, and the permanent employee record as a whole, must be kept strictly confidential. Once someone has been hired and has been working for some time, staff appraisals are often incorporated into their permanent record. As each new performance evaluation is added, it provides a chronological history of the employee’s career and personal development. Although appraisals should be a combination of praise and suggestions for improvement, workers understandably would not want their bad points circulated and commented upon by other people. They have the right to expect that their performance evaluations are only viewed by a select group who have a genuine need for access, such as committees deciding bonuses. Sometimes, someone’s behaviour is so unacceptable that it cannot be dealt with through the appraisal system. For example, continually poor timekeeping may justify a formal written warning (usually after a series of unheeded verbal warnings). Such a written warning would be added to the offender’s permanent record. If staff choose to leave, for whatever reason, they may be required to answer questions in an exit interview. These responses may be the last item added to their permanent record, just after the resignation letter. Because these details will be recorded permanently, staff who are leaving should think very carefully before saying anything too controversial in their exit interview. This is particularly important if they are likely to request a reference from the company, or if there is any chance that they may work for them again (for example if the new company they are moving to merges with their old employer). Under the Data Protection Act, everyone has a right to see the information that a business holds about them, and to amend it if necessary. This includes job candidates and current and previous employees. Businesses have an obligation under the Act to ensure that the information they collect is necessary, appropriate and up to date. Staff in the human resources department, which typically administers the permanent records, need to understand their obligations under the act to safeguard privacy. Part of this is being prepared to filter out information that does not need to form part of a permanent record – just because data is available, it does not necessarily need to be permanently hoarded!